After the long weekend it’s going to take me a day or two to get back into the swing of things…or maybe until Friday?! We have all the end of year school things happening so it feels as though our normal routines aren’t going to be so normal any longer. Until we get into the summer routines, which will take some adjusting as well! When it comes to dressing, not only do I love playing with layers and different fits/styles, etc., but one of the biggest factors to dressing comes down to colors. 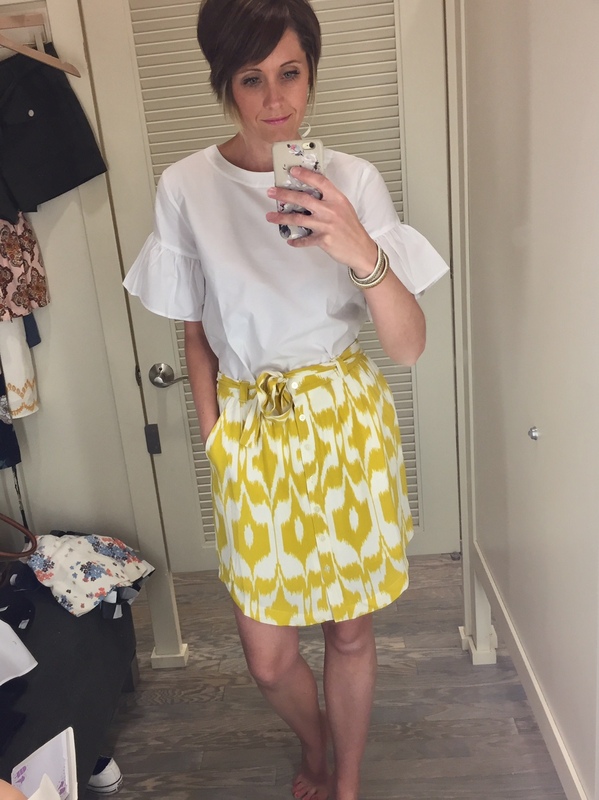 Playing with different prints, patterns and color combinations can be so fun and can encourage you to pull different outfits together that you may not otherwise have thought of. In addition to styling clothing, I also dabble with helping other locals with home decor. Paint, furniture, accessories….but what it really comes down to is pulling the right colors together. 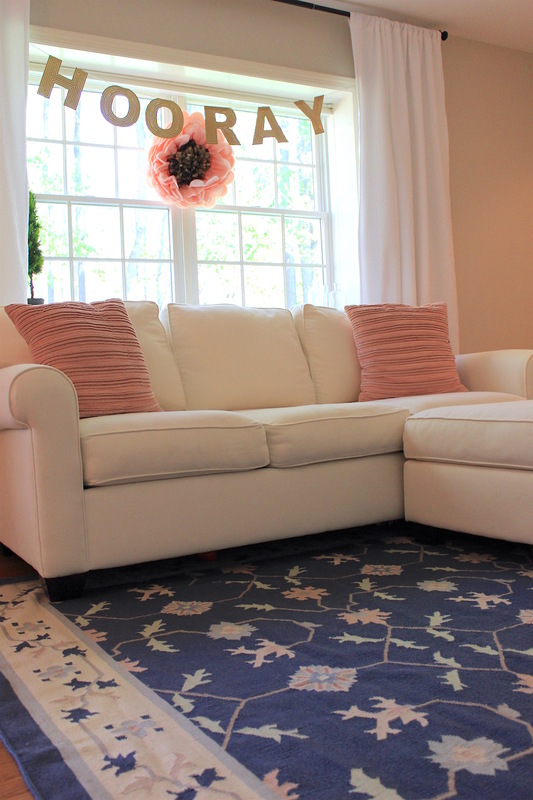 Finding the right color palette (be it a rug to work from or pairing the perfect paint chips) is typically where I start with homes/rooms and it can also work when it comes to dressing. A while back I had seen a similar color combo on Pinterest and that’s what had me pulling these particular pieces together. I can’t always tell you exactly why certain colors and prints work well with each other, but when you see it you just know. 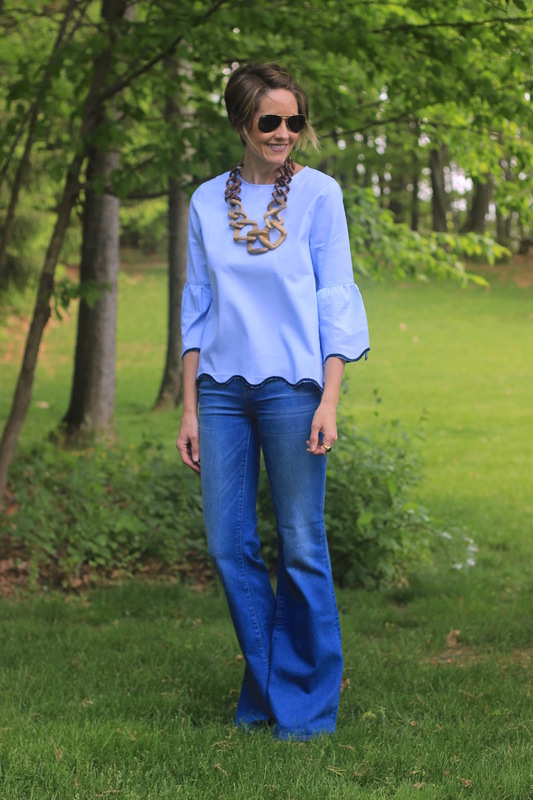 So don’t forget to save those inspiration outfits when you see them, that way you can turn back and see how you can make it work from your own closet! As we jump into the long weekend ahead, I wanted to quickly share some of the fantastic sales that are here to go along with it! We have plans to picnic, a 5K to run and a carnival that takes place in Boalsburg, PA, the town that claims to be the birthplace of Memorial Day. I actually just checked Wikipedia and sure enough, it’s there ;) I hope you get to spend some time with friends and family and take a much needed breather because life is just crazy busy lately! Here are my picks from some of my favorite sales going on this weekend. I wouldn’t wait, because with some of these prices, sizes won’t last! 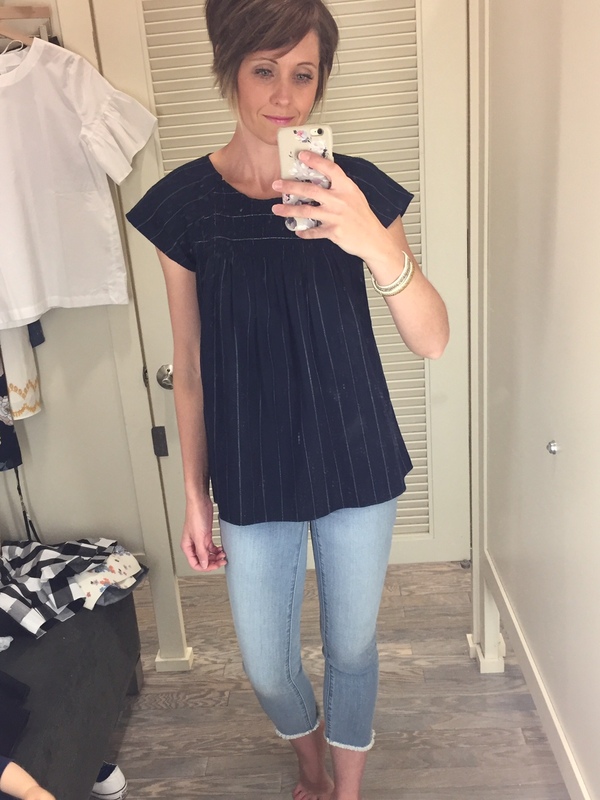 Nordstrom: Half Yearly Sale going on now! 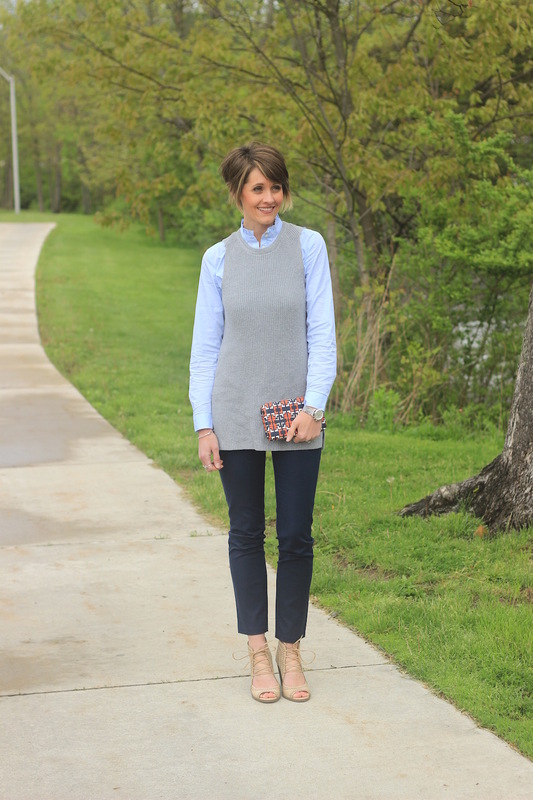 I turn to denim + denim often and always love the easy, laid-back look that results. 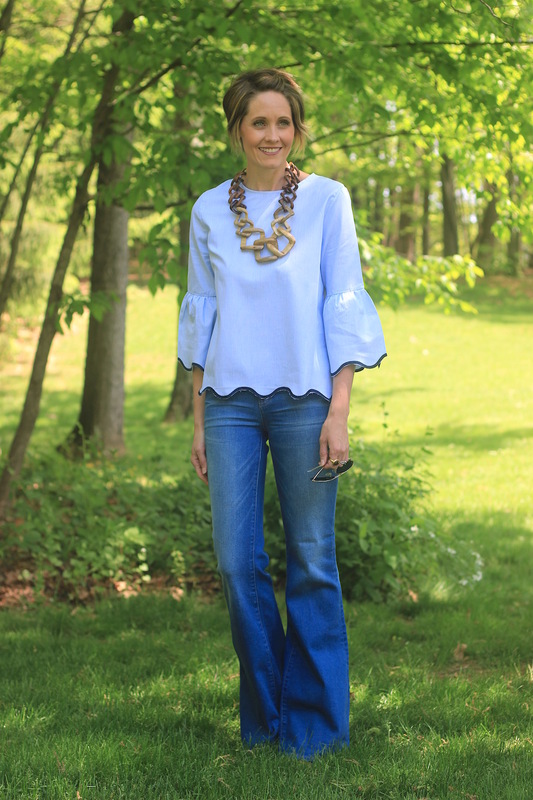 I found these jeans while I was on the hunt for a great summer jean and I have been wearing the heck out of them. They’ve been on Instagram but somehow I had yet to share them here on the blog, sorry about that! I love them though. It’s been a while since I’ve bought a pair of jeans without stretch to them, but I’m really happy with this pair. 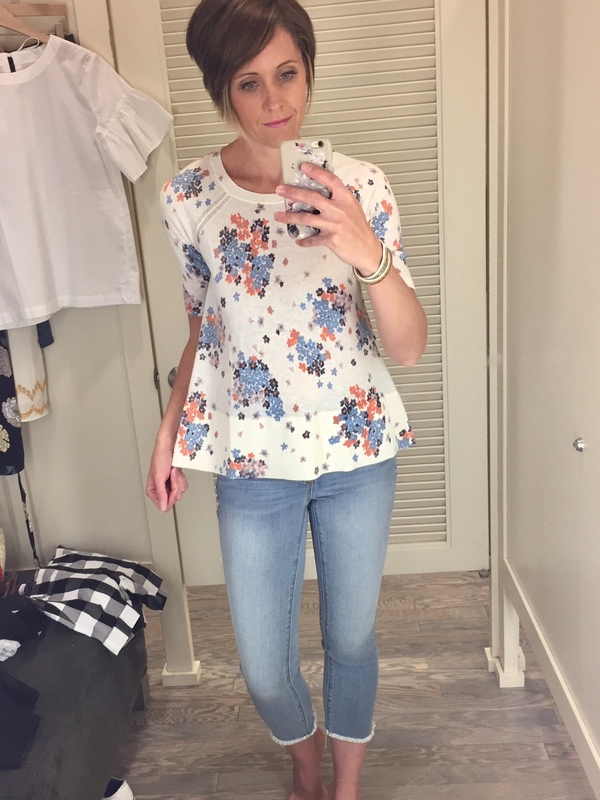 I wanted high-waisted, distressed, in a light wash and that’s exactly what I found in this pair from Madewell. Also to note, I finally found a backpack that I love, yay! They are gaining popularity and I can certainly see why. I’m on my way out of the diaper bag phase (not completely as my babe isn’t potty trained yet, but I no longer require ALL the baby things), but I still haul around a fair amount of goodies for my little ones. The idea of being hands free and giving my shoulder a rest seemed idealistic… and it really is! I finally settled on this backpack from Matt & Nat and am very happy with my decision. It sat in my cart until my husband approached me around Mother’s Day and asked if there was anything special I had my eye on ;) Well, actually, yes!! The color is a little more taupe-y in person than the cream it leans towards online, but I prefer that as it’ll hide dirt a little better :) All in all, I highly recommend this classy and sophisticated looking backpack! Happy Friday, guys! 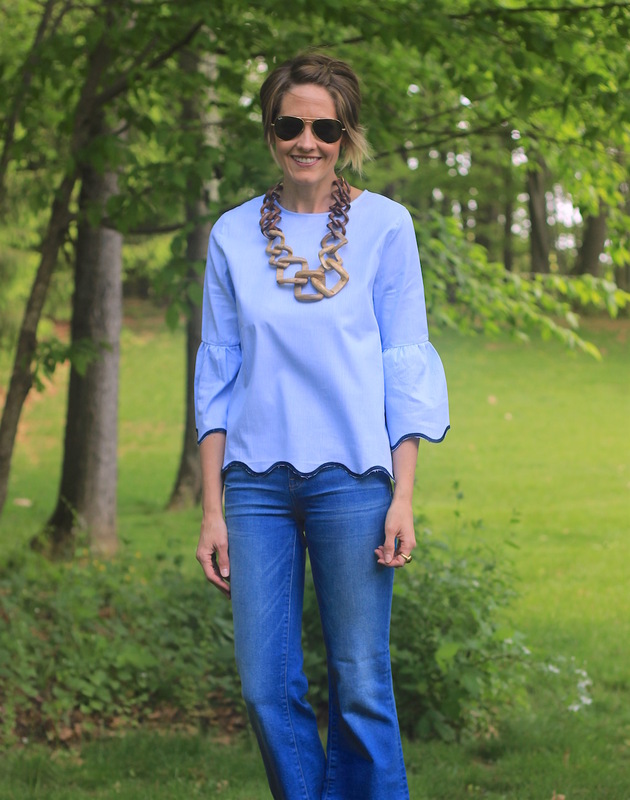 Today I’m styling a beautiful piece that I borrowed from my girlfriend’s Noonday Collection, isn’t it awesome?! 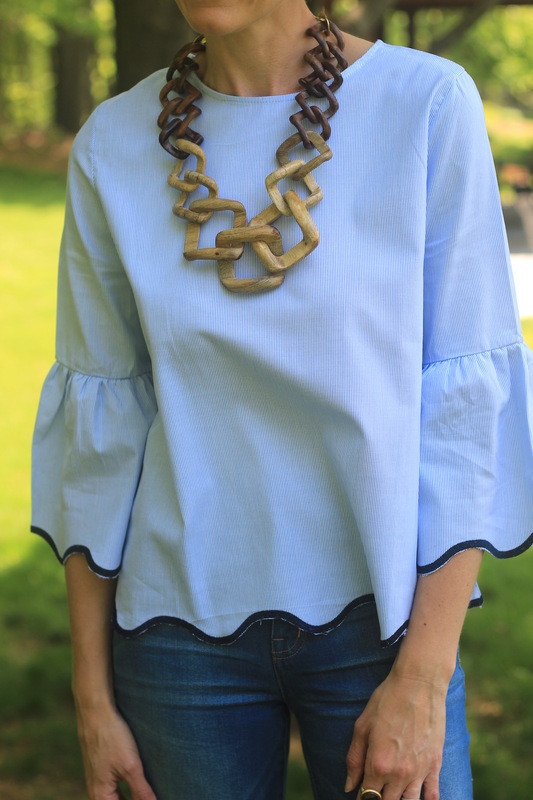 In case you have not heard of Noonday yet, they partner with artisan entrepreneurs in vulnerable parts of the world and connect them to a growing marketplace. In turn, these artisans are then empowered to make a difference in their own communities. Their pieces are so striking and unique, you’ll likely have a hard time finding a favorite! You may remember my earrings that I styled here earlier this year. I also love this wooden necklace, this beautiful printed scarf and these fun tassel earrings. Check them out, treat yourself, a friend or family member (what a great gift!) and help make an impact that spreads around the world! This top is very sweet. 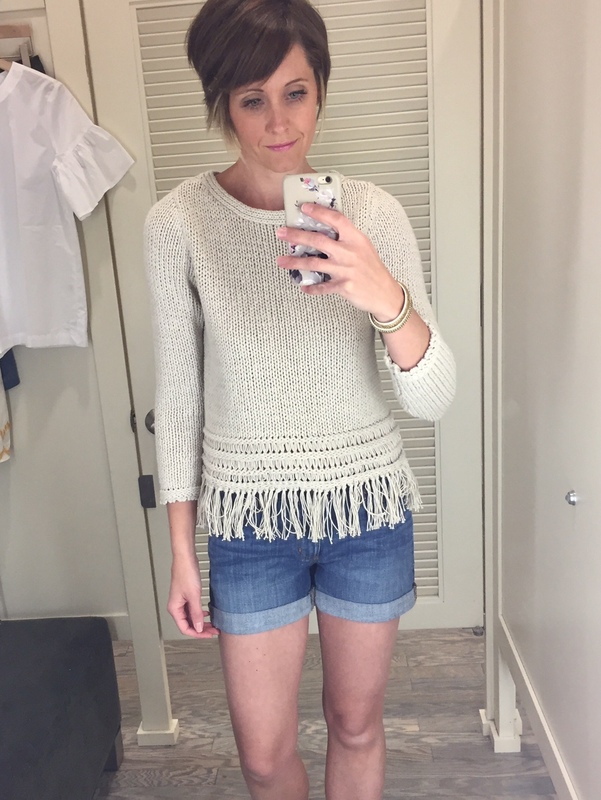 A little bit of eyelet detail and a little bit of fringe. 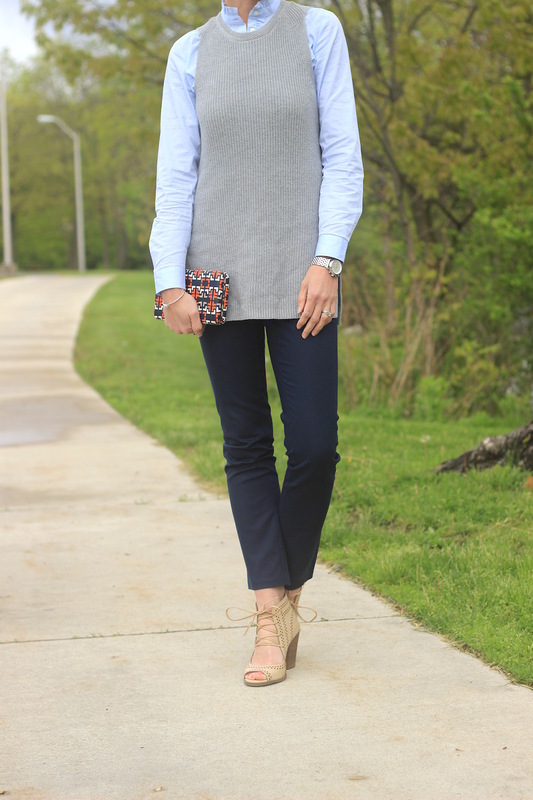 A loose, comfortable fit with a ladylike feel. I’m not sold on these cropped denim though. They hit right at my mid-calf with a little flare that only seems to widen at the wrong place. Here’s another beautiful top. 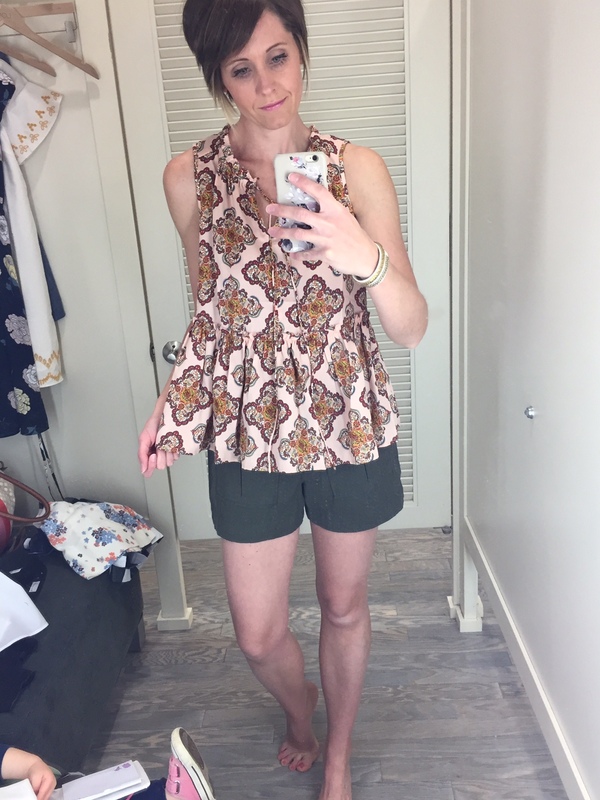 Beautiful print, beautiful colors and a fun peplum hem. 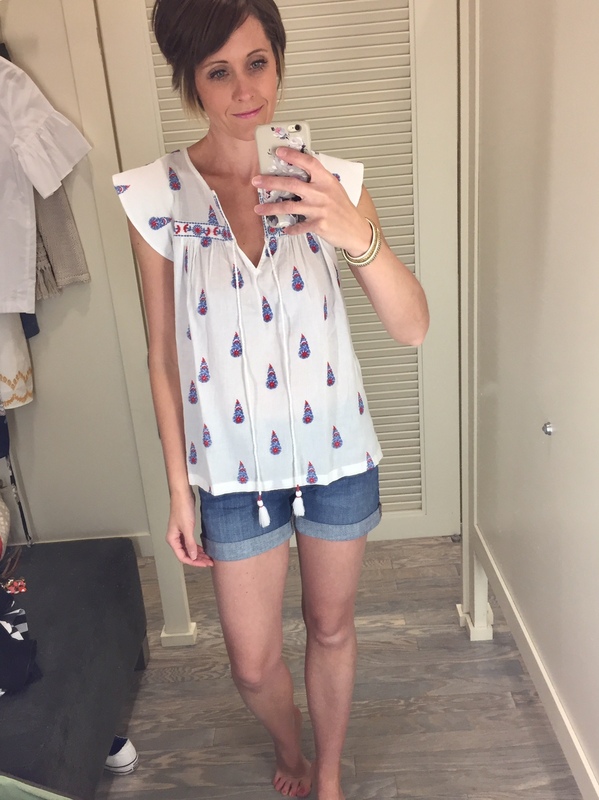 I paired it with these shorts, but would love it with white denim pants as well. 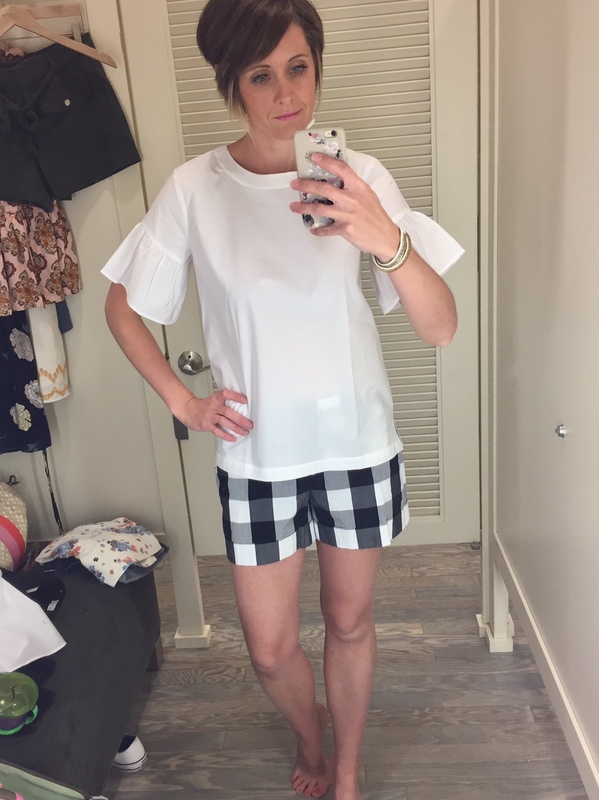 Black and white are not my best colors, but I just adore these gingham shorts. 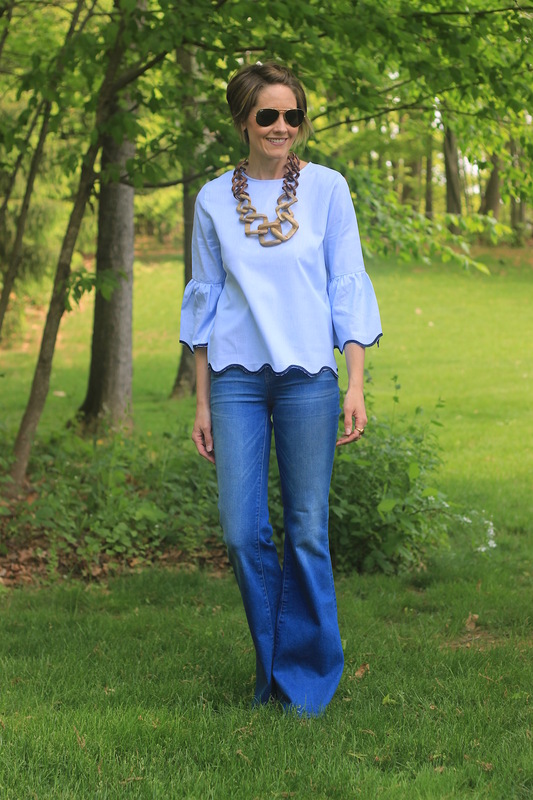 Think about pairing any number of bright colored tops or even some statement t-shirts with them! 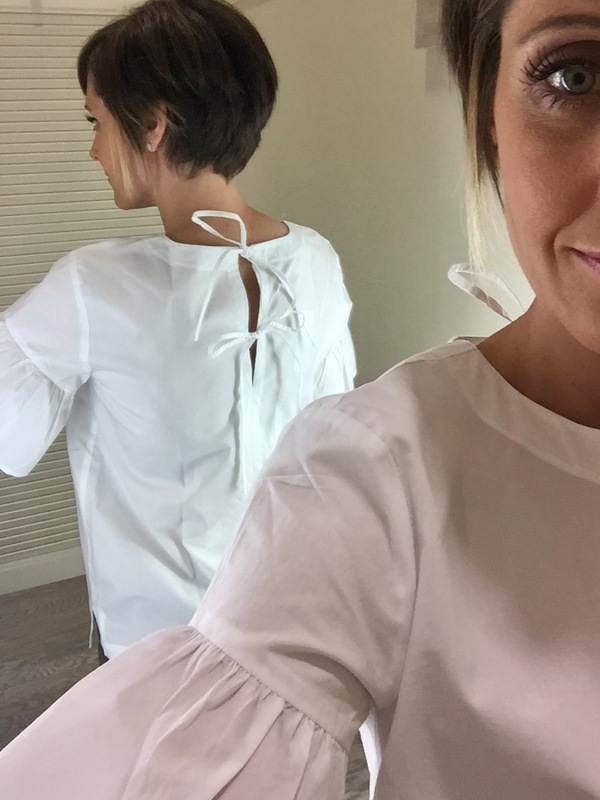 And check out the back of this blouse….yes, please! 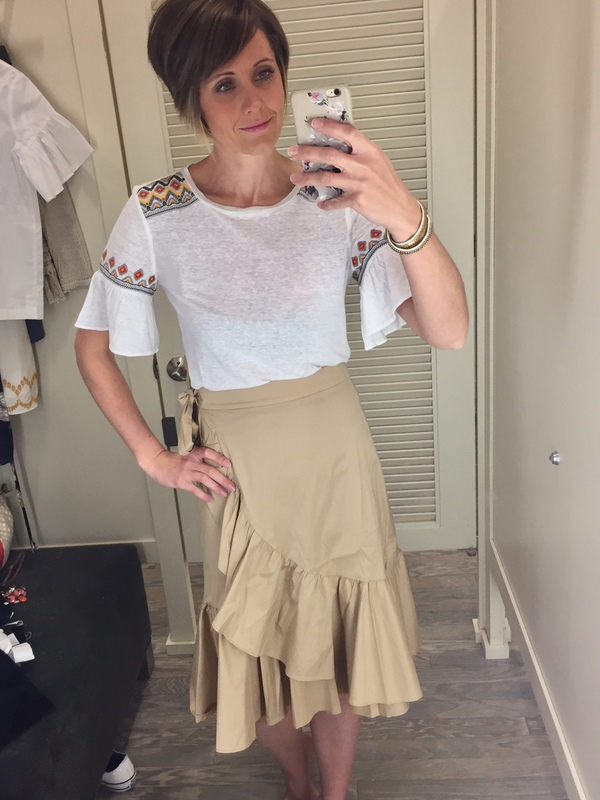 I thought this was a fun skirt to play with. I like how it can be dressed up for the office, but again could easily be dressed down with a cute t-shirt. 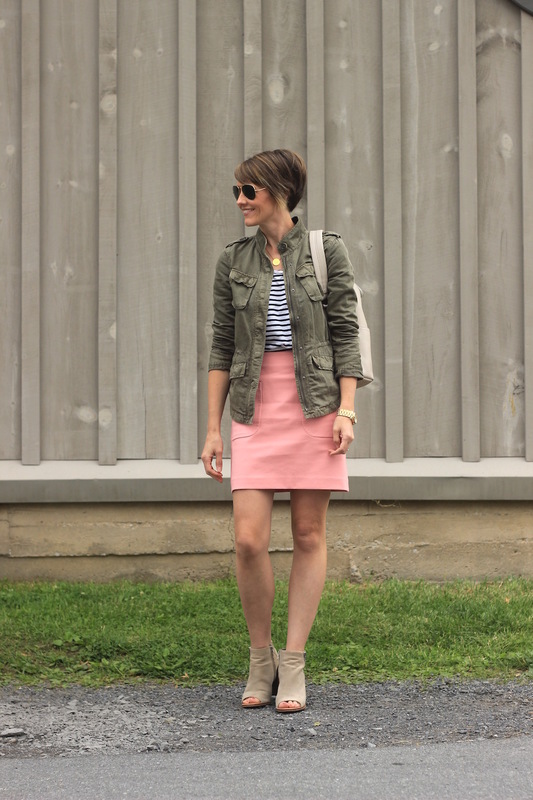 Ruffled, wrap skirts seem to be big at the moment, but many of them can be quite pricy. This one has a great fit and is priced very reasonably, especially with the sale! 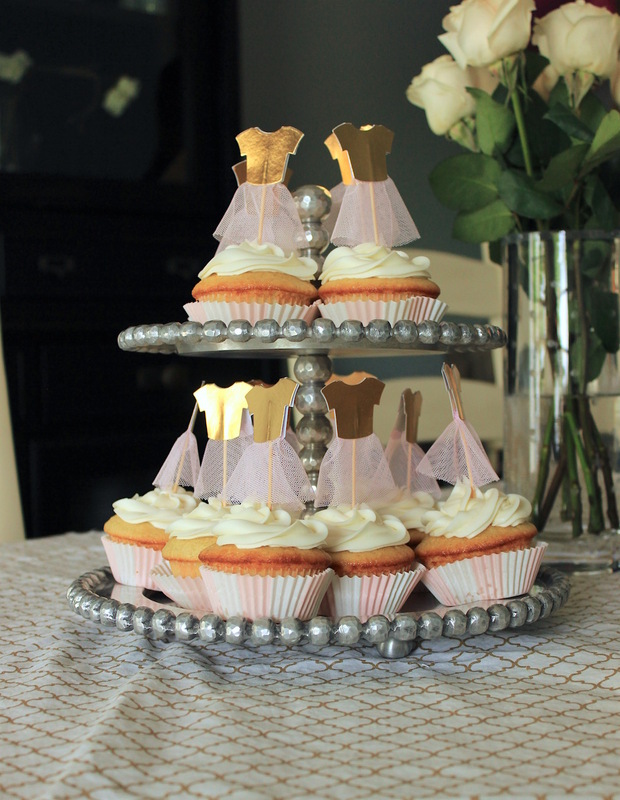 And the top…adorable! 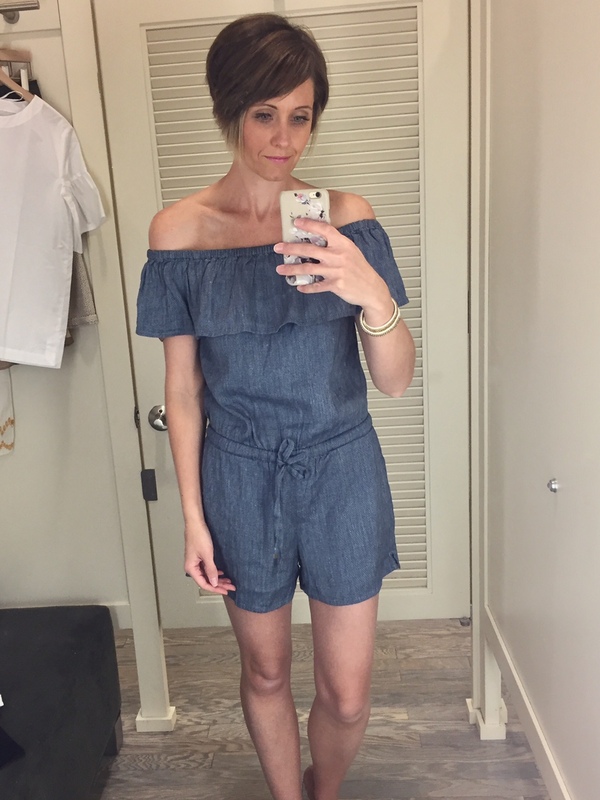 I loved this little off-the-shoulder romper but I needed one size down and they were out of it. Had I been wearing the right size I’m pretty sure I would have loved it even more. 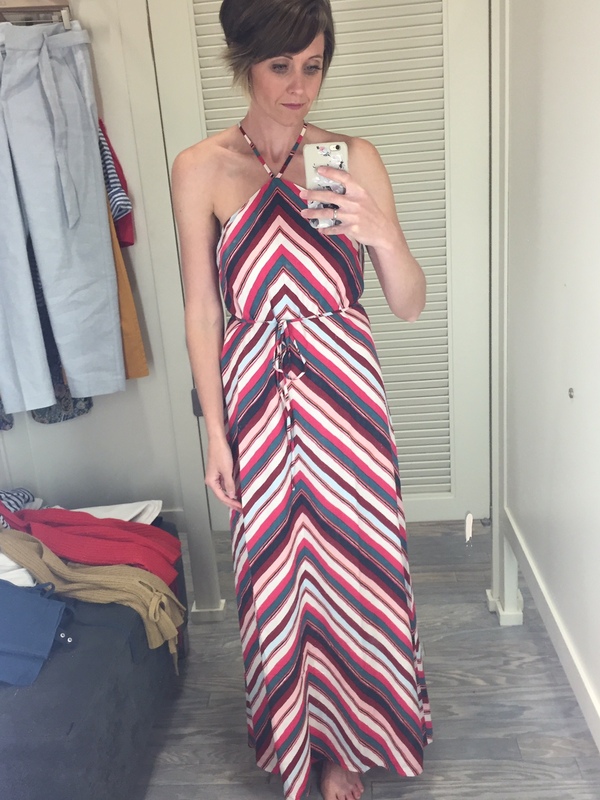 I thought this dress was so pretty on the hanger, but I often struggle with shift dresses looking too boxy on me and that was the case here. Still a beautiful dress though! I liked this combo together. The top is soft and comfortable. It has a good length to it and looks cute tied in the front as well. The pants were also fun! Out of my element a bit, but I really like the wide leg style. 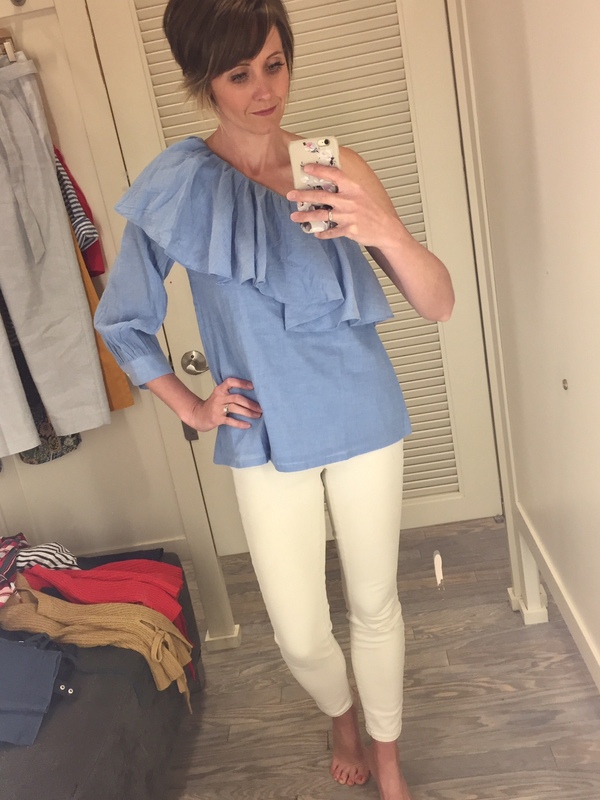 I may need to head back to the store now that I see this top again. Perfect with denim shorts or dressed up with some white or red pants! 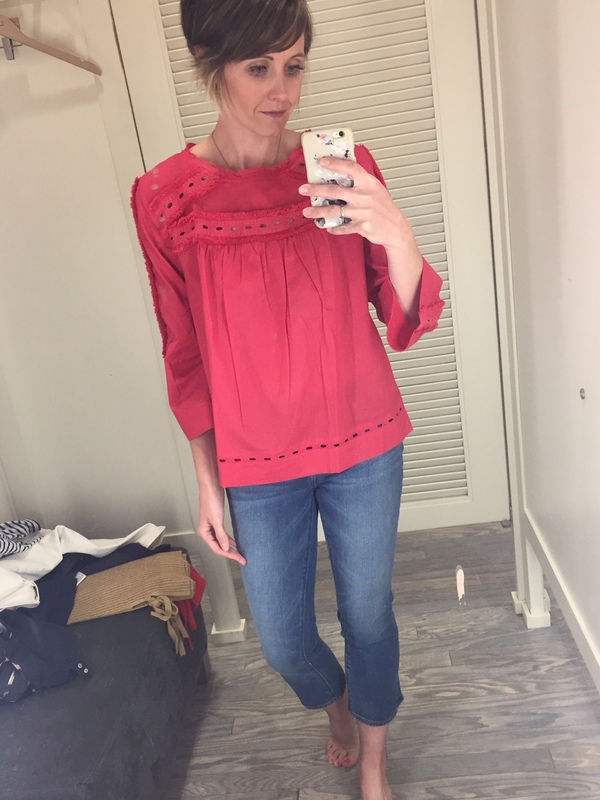 Love, love this top! 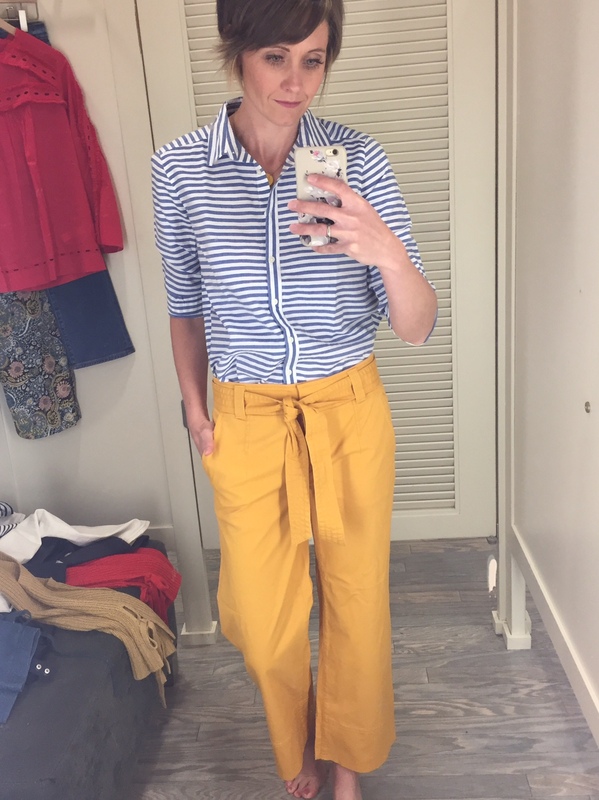 It came home with me and I’m already debating how to style it….wide leg coral pants, pink trousers, or navy jersey pants? I’m sure you’ll see it back on here soon! This is a beautiful maxi. Perfect length (I’m 5’7″ for reference) and beautiful colors. The picture doesn’t do it much justice. This light-weight floral sweater is cute and flattering. It has a slight bell shape that adds just a little swing to the top. 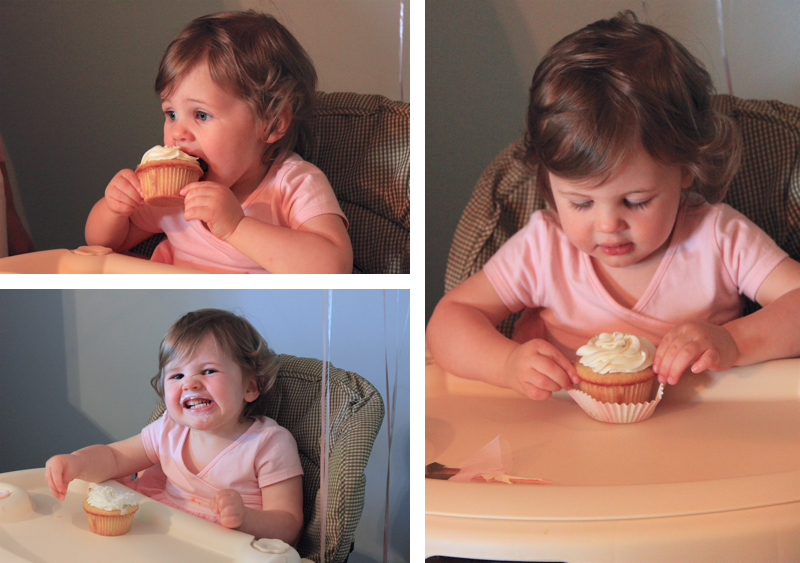 Well friends, my baby is officially 2 years old! Two years ago she flew into the world the day before Mother’s Day and I took home the best present I could have received :) My husband and I refer to sweet Audrey Grace as the cherry on top of our family. She is loving with a most tender heart and adores her big brother and sister who have instilled in her an eagerness not to miss out on anything! She is thrilled to twirl around in tutu’s with her older sister but will jump into a wrestling match with her big brother without hesitation! A third child was certainly something my husband and I discussed and prayed hard about, but we had no idea just how big of a blessing she’d be to our family, and everyone she encounters! I was talked out of making a cake this time (which I really enjoy doing! 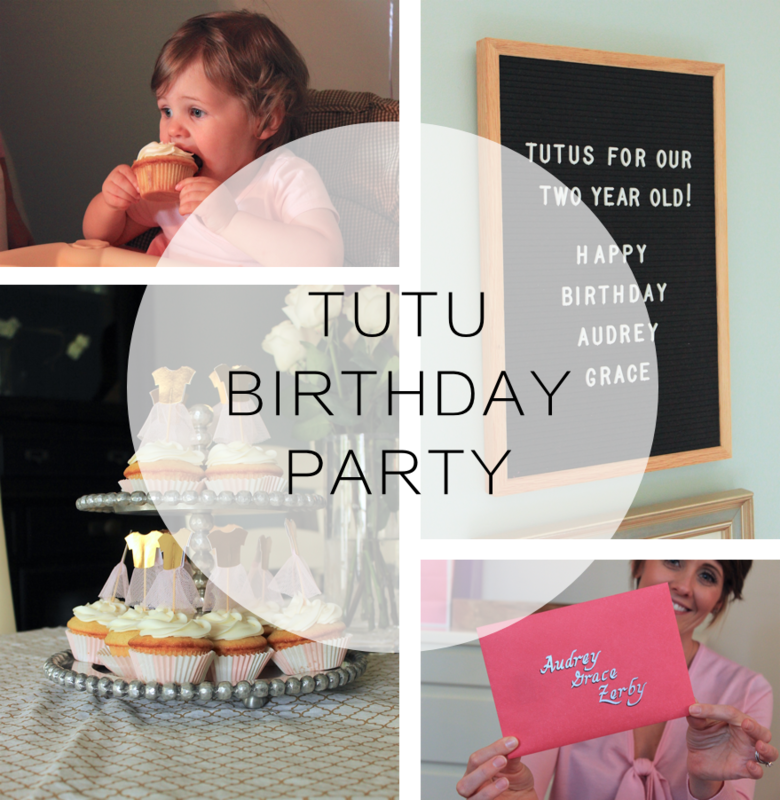 ), but I have to admit that party prepping without the added time consumption of baking went a whole lot smoother….my husband will vouch for that ;) My cake baking days are certainly not over, but I’ve learned that I don’t have to do it all…all the time. 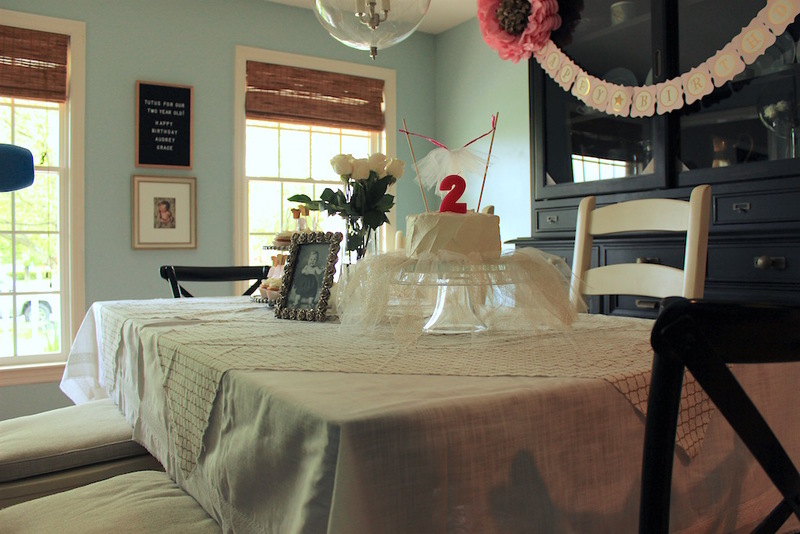 And with that extra time, I was able to make a few things, such as the tulle tutu I used under the cake. I quite simply tied a piece of string in a circle and then tied pieces of tulle all around it and placed it under the cake. I did something similar for the topper which I tied to two grilling skewers I had on hand. Very cost effective! I mentioned this on my Insta-stories, but a fun little tip to fancy up your cupcakes is to pipe on store bought icing. I saved time by using a boxed mix and store bought icing, but took a few extra minutes to fill a bag and make them look like they could have come from a bakery…maybe. This little doll was the most patient thing waiting for us to sing to her. 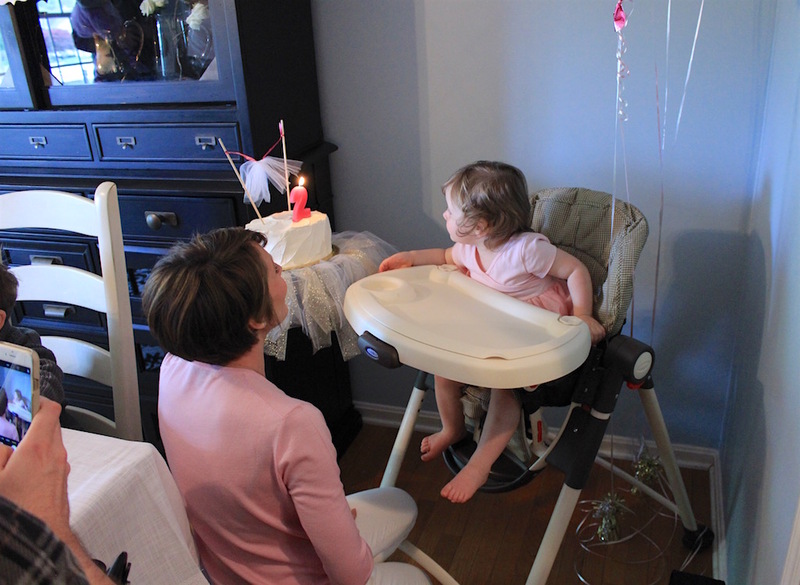 And just as a side note, every time we now sing to her (which we continue to do because it’s so darn cute) she blows out a pretend candle at the end! Cute overload. 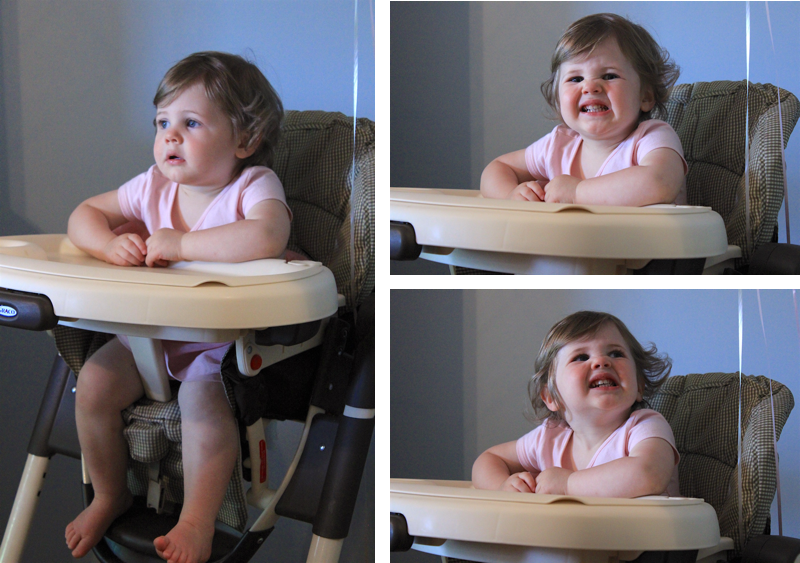 Audrey loves her food, but she’s not a fan of getting messy. I can certainly appreciate that!! I had made these tissue paper flowers from a pack a while ago for my little sister’s wedding shower and they have come in handy a number of times since then. The sign was another HomeGoods find and it came with a number of letters to be used to interchange greetings. 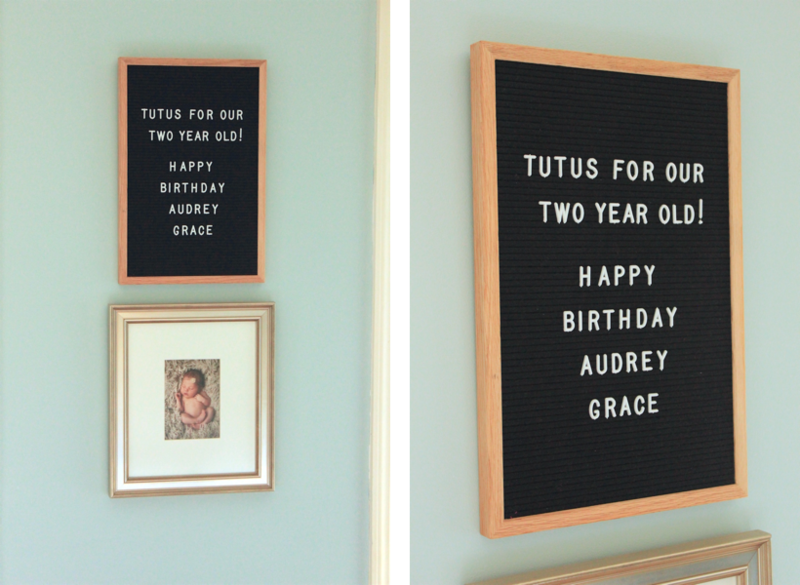 This letter board is one of my most favorite recent purchases for sure. I’ve used it for events as well as displaying quotes and bible verses around our home. 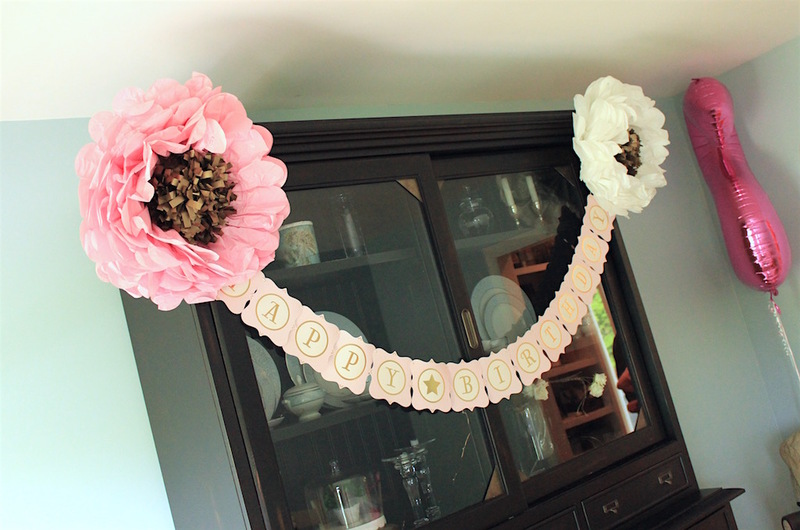 I found this cute hooray banner at Target and figured it could be used for any number of upcoming events/parties. 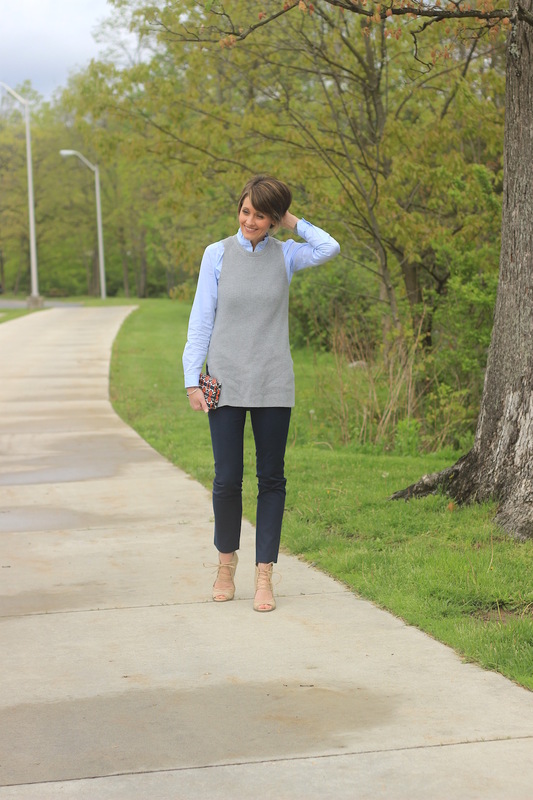 Well, I haven’t been loving the cold, rainy weather we’ve been encountering, but I am happy that I’ve had this sleeveless sweater to turn to lately! I’ve shared it before on Instagram but realized that it had yet to make it onto the blog. 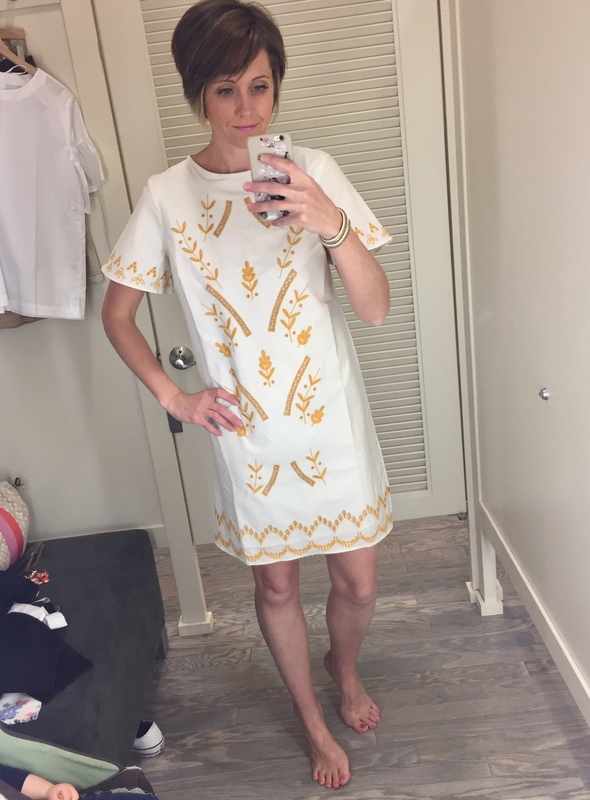 The good news is that it also comes in a pretty periwinkle and is currently under $25! 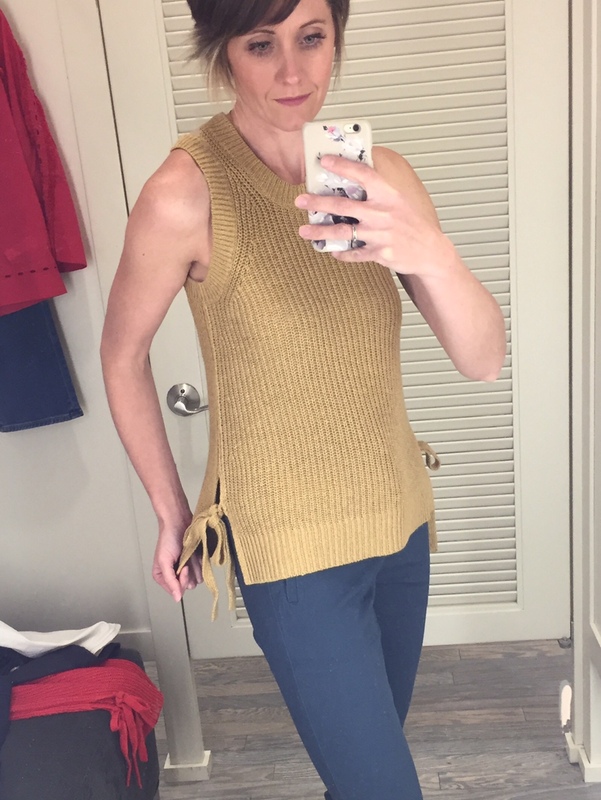 My husband, the funny guy, likes to tease me about it being my ‘chain mail’ vest ;) I see it as a stylish, versatile layer, but that’s just me! You can see on Instagram how I’ve worn it layered under a jacket and also with jeans and a t-shirt. 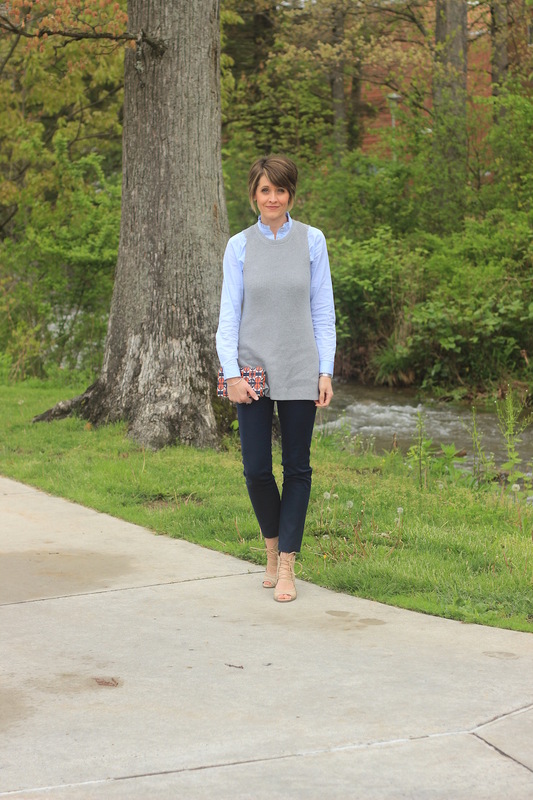 I promise, it’s a great piece to add to your wardrobe!